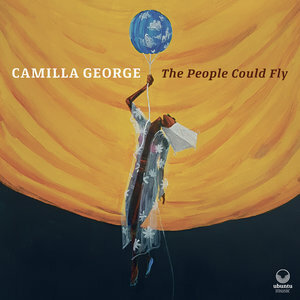 Camilla George (alto); Sarah Tandy (piano/Rhodes); Daniel Casimir (bass); Winston Clifford (drums) + guests - Femi Koleoso (drums); Omar Lye-Fook, Cherise Adams-Burnett (vocals); Shirley Tetteh (guitar); Quentin Collins (trumpet). Nigerian born George's second album is described as a hypnotising blend of Afrofuturism, hip-hop and jazz and is named after a book of African folktales that her grandmother read to her when she was a child. The stories must have had a lasting effect on the young Camilla judging by the original themes she composed for this album. Her 'less is more' approach to saxophone playing combined with a rich, full sound could be seen as an object lesson that some of the current gunslingers could learn from. Not that George's playing is pedantic, when the situation calls for her to unleash flurries of notes she unleashes flurries of meaningful notes. Tandy proves to be an impressive pianist whilst Casimir and Clifford, who need no introduction to UK jazzophiles, complete the core lineup. Four tracks by the quartet and four by an augmented quartet with vocals by Cherise Adams-Burnett, who seems to sound better and better each time I hear her. Cherise sings on two tracks and Omar Lye-Fook puts out the words on one. Quentin Collins plays trumpet on Omar's track but his role is limited to ensemble playing and a short solo that had me wanting more. Guitarist Tetteh shows on three tracks and plays effective single-note solos. Not an album to set the world on fire but certainly one to make it a warmer place. Released by Ubuntu Music (0015) on Sept. 28. It will be available on CD or on vinyl.